It’s a tale as old time…normal, nice, sweet office receptionist gets tired of her normal, nice, responsible life and decides she needs a change. She’s gotta switch it up! She needs to get out there and start living her life, even if it’s a totally unrecognizable version of her! After all, double-identifies are very liberating, and as anyone who’s worn a wig knows, it’s the easiest way to try on a whole new personality without losing your job, declaring bankruptcy, and basically burning down every bridge you’ve ever built, both personally and professionally! So she got herself a new wig, and now look at her - she’s going out and having the time of her life. Sometimes, she even gets out there in the crowd and dances - in public! 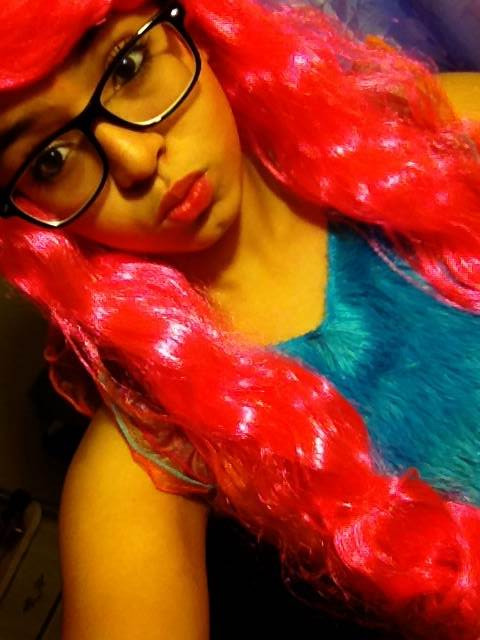 And now you can have a little of her spice, too, with this Neon Pink Long Wig! 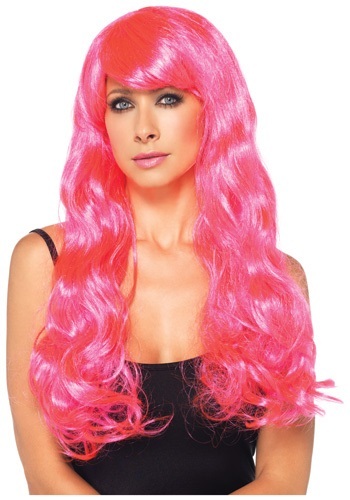 Made of 100% polyester this Neon Pink Long Wig features long, wavy hot pink hair complete with side-swept bangs! It’s the perfect complement to almost any Halloween costume or bachelorette party theme…or even if you just need to try something different for a change! this wig is more than what appears, it's gorgeous and easy to take care off my daughter loved it and she can style it any way she wants. perfect product.